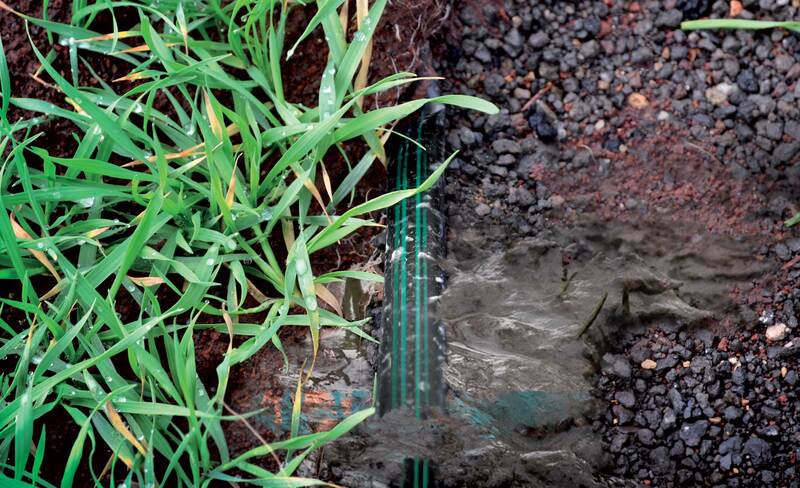 Irritec, a Sicilian company and one of the primary reference players for the international irrigation sector, presents the revolutionary eXXtreme Tape®: the the unstoppable dripline. The result of Irritec Research & Development, which has always been guided by its founder Carmelo Giuffrè, eXXtreme Tape® is the revolutionary development presented at Eima International 2018 by the Sicilian company based in Capo d’Orlando, in the province of Messina. After having imposed itself on the world market of irrigations and, in particular, of drip irrigation technology, it now has six production plants, more than 700 employees, and more than 140 countries throughout the world where its products are distributed. The point of arrival of an important Research & Development process that follows the company’s vision to simplify work and optimise the use of every single drop of water, eXXtreme Tape® offers a new and innovative idea of water management for drip irrigation. Created to extend the use of this precise system and attentive to water saving – now applied to 5% of the world’s irrigated surfaces but quickly spreading – even in areas served by “difficult” and unfiltered waters, eXXtreme Tape® has a simple but efficient technology. The patented double continuous filter that runs along the length of the pipe increases the filtering surface from 20 to 100 times compared to that of a standard product. The presence of the continuous double filtration system optimizes the purification of water rich in impurities and salt by keeping the labyrinths, the actual flow regulators, clean and efficient for greater supply uniformity during the entire useful life of the drip line. Tests carried out in the Center of Irrigation Technology at Fresno University, USA, have shown the extreme resistance of the product – which is usually disposable – that does not show any partial or total blockage even with the use of a 70 mesh (unit of measure used to determine the granular particle size distribution) sand media equal to approximately 0.2 mm. Therefore, in addition to ensuring careful and targeted management of the water thanks to its significantly increased life cycle (reaches a lifespan of ten times more than a similar tape), eXXtreme Tape® reduces the amount of plastic released into the environment (it has a thickness of 100 microns and is 100% recyclable) and thanks to the low working pressure (from 0.3 to 0.5 Bar), it provides valuable energy savings. Just like the vegetable plants that you look after, for drip irrigation to be efficient, it must be part of a system. Irritec, which boasts one of the most comprehensive product catalogues on the market, is fully aware of this and thus continues to increase its offer. Among the developments presented at Eima, the D7 multi-dimensional drip line with its innovative flat dripper with a large-surface 3D input filter, provides a high degree of protection to the highly-performing labyrinth, capable of developing high levels of turbulence to the full advantage of the self-cleaning. Generating reduced variation coefficients, the D7 dripline ensures maximum uniformity of distribution on the field. Extremely Green, this drip line is manufactured with a quarter of the PE typically used in similar products found on the market. It has a low high ecological footprint (the amount of PP needed for manufacturing was reduced by 80%), even the inline iDrop Light dripper with a double input filter, a resistant silicon membrane, and a turbulent labyrinth that helps increase the excellent hydraulic characteristics: a lot of technology in minimum dimensions. Finally, to solve daily work problems, the Commander EVO automation system, which is easy to program, can automatically manage the various functions of the parts that underlie the operation of a modern irrigation system. Designed for time and volume installations, with the cleaning of filters and safety parameters, it ensures a constant flow and precise control of the electric valves in each sector. Thanks to the Irritec technology, the new generation Commander NPK can control three fertigation methods with one device: continuous, proportional and by ratio for the control of the pH and EC parameters.